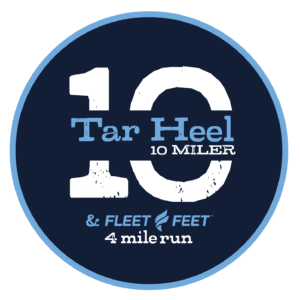 In close partnership with the Town of Chapel Hill, The University of North Carolina, and NC-DOT, we are proud to produce the Tar Heel 10 Miler and the Fleet Feet Sports 4 Mile Run. This will once again be an amazing, community-building event and we appreciate the tremendous support that we receive from Chapel Hill residents and business owers. With over 6,000 runners participating in “Chapel Hill’s Best Event” there will be many road closures and traffic diversions/detours that we want you to be aware of. We encourage you to become familiar with the information presented here so that you will be minimally-inconvenienced should you be out and about on race morning. Download the Detour Map Here!  The 10 Miler runners will be passing through Chapel Hill’s downtown district and many of its most beautiful neighborhoods, including: Battle Park, Historic Rosemary, Gimghoul, Greenwood, and Laurel Hill. In all cases, cars should use extreme caution and heed the directions of police and race course marshals. Impact time frames and local traffic instructions available below. All lanes of Franklin St will be closed from 7:00-9:15am from Park Place to Graham St. All eastbound traffic coming from Carrboro is advised to use Rosemary St eastbound or Merritt Mill Rd southbound. All westbound traffic coming from East Franklin St is advised to use Estes Dr to MLK or Estes Dr to 15-501. Franklin St will be closed at Estes Dr. and Merritt Mill Rd from 7:00-9:15am. Only local through traffic will be allowed for residents living between Estes Dr. and Park Place. The following roads will be closed within the Historic Rosemary neighborhood. Should you wish to exit, please do so by 7:30 am. S. Boundary St will be closed from Franklin St to Park Place. Park Place will be closed from Franklin St to to thru traffic. Should you wish to exit, please do so via Battle Ln toward E. Cameron Ave. Runners will be using the entire width of the roads. Exiting the neighborhood during the above time frame will be very difficult and likely dangerous to the runners. Please plan to exit the neighborhood prior to 7:15am if you need to go somewhere on race morning. The intersection of Raleigh Rd & Greenwood Rd will be closed. Runners will be using the right lane of the roads inside the Greenwood neighborhood. Should you absolutely need to exit the neighborhood, please use extreme caution and navigate to the northernmost Old Mill Rd exit to Fordham Blvd. Runners will be using both lanes as they run uphill. Police will be securing the top and bottom of the hill, blocking all thru traffic. Should you absolutely need to exit the neighborhood, please use the downhill (southbound) lane only towards Fordham Blvd. With NC-DOT approval & support, Raleigh Rd will be completely closed to traffic between Country Club Rd & the intersection of 15/501 from 5:00-10:00 AM. Electronic signage will be placed on 15/501 and Rt 54 during race week to remind motorists of this important road closure. Please avoid the intersection of Rt 54 and 15/501 on race morning if possible. Otherwise, please use the designated detour routes. All other roads along the course will be closed and then re-opened on a rolling basis as the runners pass by the various areas on the course. Most road closures will occur between 7:00 AM and 10:00 AM. Police and course monitors will be positioned at each intersection on the course. Vehicles will not be allowed on the course once that section of roadway has been closed. Detours and alternate routes will be enabled by police, public works, & course marshals. At certain intersections, cars may be “pulsed” across the course when deemed safe by the officer controlling that intersection. Please be patient as it may take a few minutes to find a large enough break in the participants to “pulse” across your car. There will be many concurrent events taking place on campus on race morning. UNC Police will be working very closely with race organizers and Chapel Hill Public Works to ensure that campus remains as accessible as possible. If you are organizing an event on campus on race morning, please be sure to [contact us] as soon as possible. We also recommend that you notify [UNC Police] if you have not already done so. Download the Campus Detour Map here!